Leading Manufacturer of model candle lantern, metal wire lanterns, victorian lantern and metal floor lantern from Moradabad. We hold expertise in offering high quality Model Candle Lantern to our valuable customers. These offered lanterns are precisely manufactured from finest quality metal and alloy, which is procured from well known vendor. Available with us at standard market price, the offered lantern is commonly used by our customers by various decorating application. 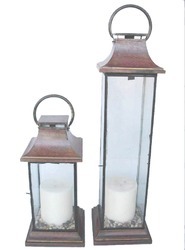 The offered lantern is available in various shapes and sizes that suit the requirements of our customers. 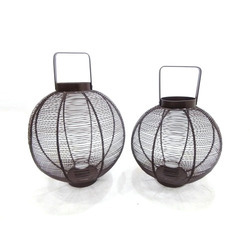 We are one of the prominent manufacturers and exporters of a wide range of premium quality Metal Wire Lanterns. Made as per industry set standards, the offered lanterns are widely used for various decorative purposes. In a zest to attain maximum customers’ satisfaction, our logistic professionals assure accurate and timely delivery of the offered products. In addition to this, our customers can avail this product from us at cost effective market price. Our company holds expertise in offering high quality Aluminum Hammered Vase to our esteemed customers. Made in compliance with industry set standards, the offered vase is widely used for keeping cut flowers. In a zest to provide customer unparalleled range of products, these are manufactured from advanced machinery. The products, offered by us are available in different shapes and sizes. 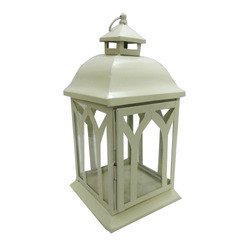 Our organization is engaged in offering high quality Metal Floor Lantern to our valuable customers. 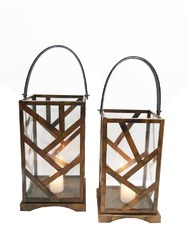 Made from cent percentage metal, these offered lanterns are commonly used for decorating interiors. With the help of our vast and well connected distribution network, we deliver this lantern within stipulated time constraint. To ensure delivery of flawless product, we test these on various quality parameters.